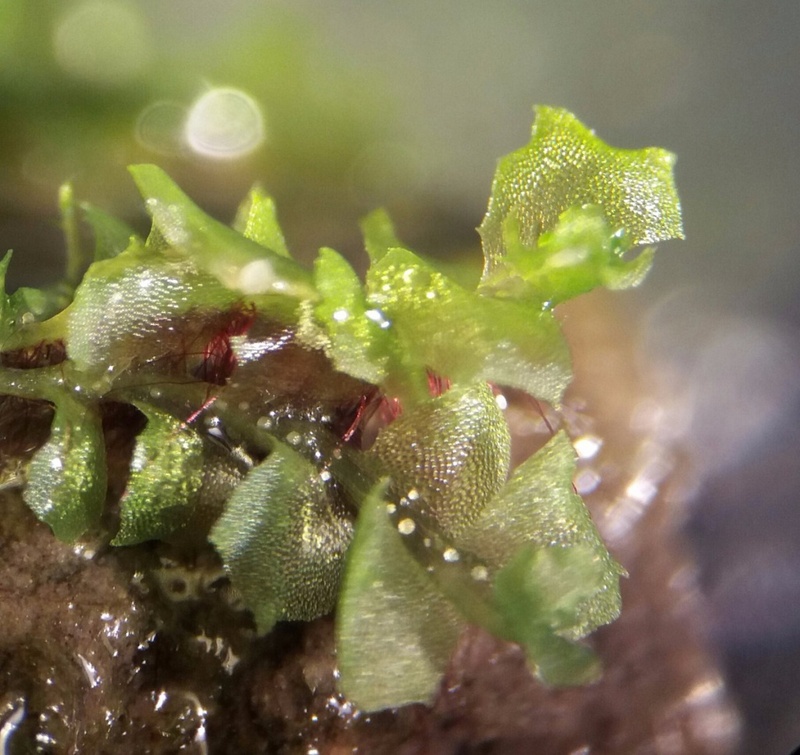 The liverwort Fossombronia wondraczekii is small (shoots up to 3.5 mm wide, with leaves up to 2 mm wide and 1.8 mm long) and rather bright green with a lettuce-like appearance. The rhizoids arise all along the length of the stems and are intensely purple. 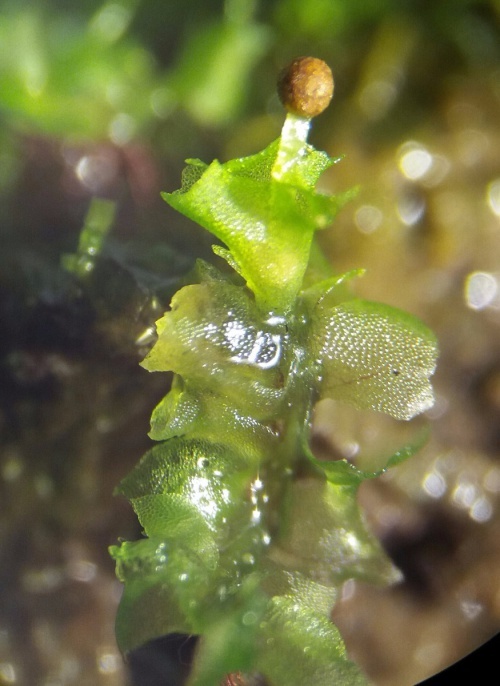 It freely produces spherical capsules on an erect, almost translucent seta. This plant is one of four similar species and microscopic identification from the spores is advised. It may be found growing on acidic, open ground where competition is low. Typical sites include stubble fields, tracks, paths and woodland rides.